As pointed out, this is based on the classic series of novels that began with The Borrowers by Mary Norton, about a family of little people who live in the walls of houses and live off items “borrowed” from the Big People. It’s a wonderful choice for a cartoon, since animation allows the various-sized characters to interact realistically without a layer of special effects. Arrietty is voiced by Bridgit Mendler, while her parents are played by real-life couple Will Arnett and Amy Poehler. Carol Burnett plays the home’s housekeeper, while Shawn, the boy who makes friends with Arrietty, is David Henrie (the son on How I Met Your Mother; both kid actors also have recurring roles on the Disney show Wizards of Waverly Place). Hiromasa Yonebayashi also directed the running-on-waves scene in Ponyo that was so distinctive and memorable; this is his first full-length film as director. The original screenplay is by Hayao Miyazaki and Keiko Niwa, while the English-language version is by Karey Kirkpatrick. In conjunction with the film, manga publisher Viz is releasing three tie-in books on February 7. 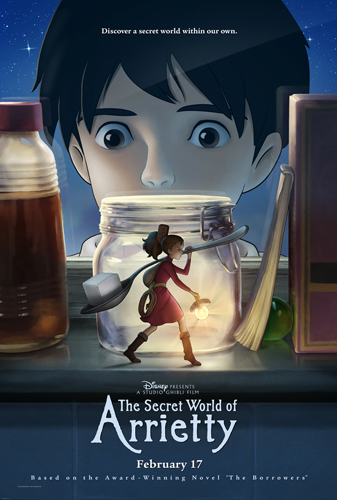 The Secret World of Arrietty Picture Book ($19.99) is a hardcover aimed at younger readers that retells the movie story using animation cel art from the film. The Secret World of Arrietty Film Comics ($16.99 each) consists of two volumes in paperback retelling the story, also using film frames. 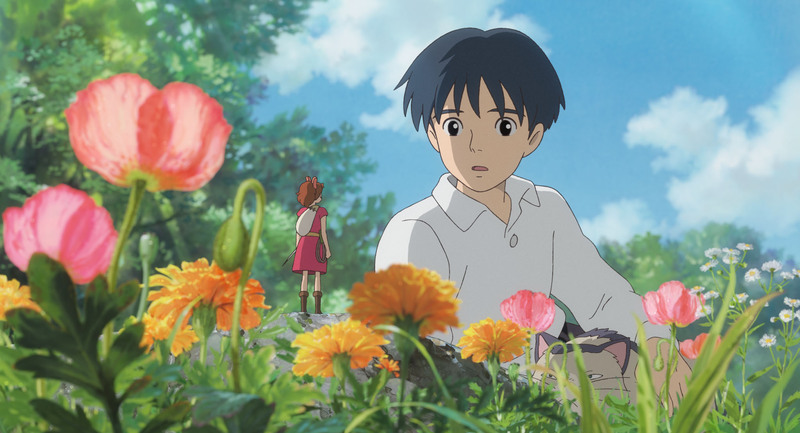 Of most interest to me is The Art of The Secret World of Arrietty ($34.99), a celebration of the film “from initial concept to the silver screen, thanks to hundreds of sketches, concept drawings, and animation cels, plus in-depth interviews with the creators.” Katherine Dacey recommends it.